To commemorate Lee’s birthday, we’ve put together a list of 32 of the most interesting facts about Lee – one for each year of his life. 1) Lee’s first on-screen appearance took place when he was just an infant (he did not fight in this role, obviously). 2) Renowned as much for his cinematic career as his martial arts prowess, Lee appeared or starred in over 30 films and was featured in numerous TV shows. 4) … “Fist of Fury" (also called "The Chinese Connection")"
12) …and, of course, Chuck Norris! 14) Lee’s own master, Yip Man, was never a film star himself, but has been the subject of several films. 15) Most movies speed up their martial arts fight scenes to make the action look more impressive. Lee’s moves had to be slowed down in order to be seen. 16) He was a championship cha-cha dancer. 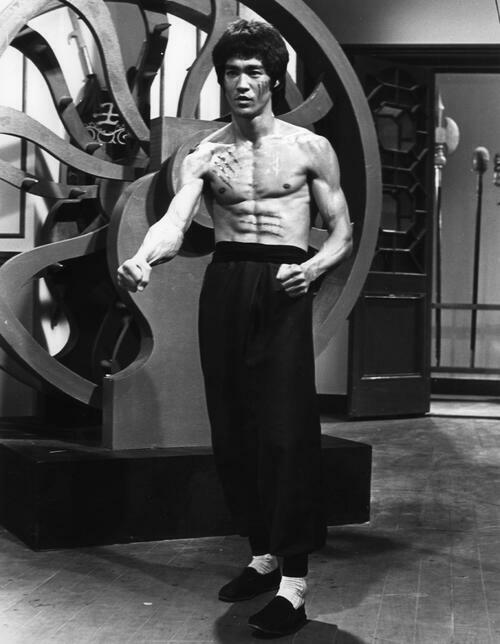 18) Lee was a physical fitness beast, and would have absolutely slaughtered us in every single Century Challenge (weekly fitness/martial arts competitions held by Century Employees – find them on our Facebook page! 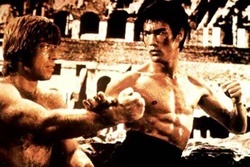 ).Chuck Norris admitted Bruce Lee would beat him in a real fight to the death. 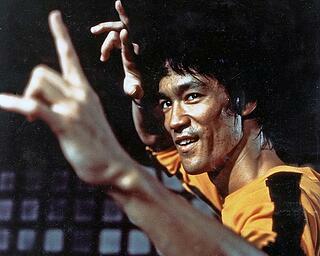 19) Chuck Norris admitted Bruce Lee would beat him in a real fight to the death. 20) Lee was actually one-quarter German – his grandfather on his mother’s side was German. This mixed heritage barred him from seeking formal martial arts training at some Chinese institutions and likely shaped his views on race, and his decision to break from other masters of the time and train non-Chinese students. 22) His full Chinese name was Lee Jun-fan. 23) As a child, Lee was once expelled from a Hong Kong secondary school for disruptive behavior. 24) Lee was born in America, then returned to Hong Kong when he was three months old. He lived there until he was 18, then returned to San Francisco. 25) At the time he returned to America, he had only $100 to his name. 26) He majored in philosophy at the University of Washington. 27) Lee had poor eyesight – so bad, in fact, he failed the US Army Draft Board’s basic military physical in 1963. 28) In addition to being one of the greatest martial artists of all time (arguably the greatest), Lee was a talented sketch artist and poet. 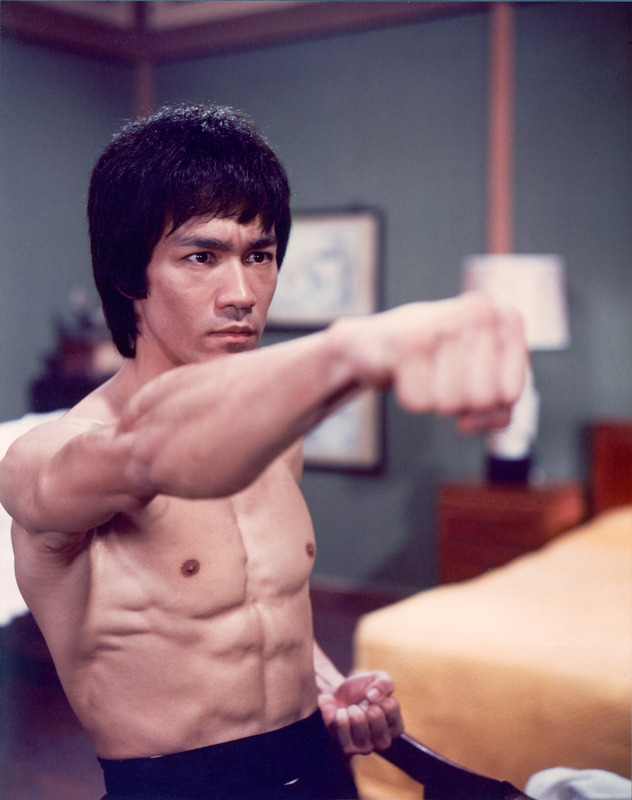 His book, “Tao of Jeet Kune Do,” contains examples of all of his skills. 29) Lee’s death at age 32 was (and is) the cause of much speculation, with theories ranging from a curse to secret assassination by the Chinese mafia. However, the official cause of death, according to both medical professionals and Lee’s widow, was a rare and extreme reaction to a prescription painkiller. 30) After his death, an entire genre of copycat movies came onto the scene trying to duplicate his success. These “Bruceploitation” films often featured actors with a similar name and look as Lee. 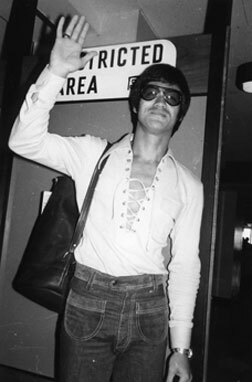 One, called “Enter the Game of Death,” even stars a man named Bruce Le. 31) At Lee’s funeral, Steve McQueen, James Coburn and Chuck Norris served as pallbearers. As the final quote shows, Lee lived his life to the fullest. That, more than any martial arts skill, should be something we learn from him. Although he died tragically young, he lived a remarkable life filled with the same sort of action, adventure and accomplishment his films revolve around. 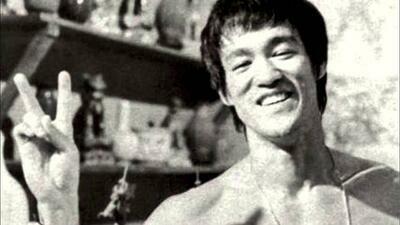 What’s your favorite Bruce Lee fact? Share it in the comments!